The use of antiepileptic drugs is associated with an increased risk of Alzheimer’s disease and dementia, according to a new study from the University of Eastern Finland and the German Center for Neurodegenerative Diseases, DZNE. Continuous use of antiepileptic drugs for a period exceeding one year was associated with a 15 percent increased risk of Alzheimer’s disease in the Finnish dataset, and with a 30 percent increased risk of dementia in the German dataset. Besides for epilepsy, antiepileptic drugs are used in the treatment of neuropathic pain, bipolar disorder and generalized anxiety disorder. This new study is the largest research on the topic so far, and the first to investigate the association in terms of regularity of use, dose and comparing the risk between antiepileptic drugs with and without cognitive-impairing effects. The results were published in the Journal of the American Geriatrics Society. The association of antiepileptic drug use with Alzheimer’s disease was assessed in Finnish persons diagnosed with Alzheimer’s disease and their controls without the disease. This study is part of the nationwide register-based MEDALZ study, which includes all 70,718 persons diagnosed with Alzheimer’s disease in Finland during 2005-2011 and their 282,862 controls. The association of antiepileptic drug use with dementia was investigated in a sample from a large German statutory health insurance provider, Allgemeine Ortskrankenkasse (AOK). The dataset includes 20,325 persons diagnosed with dementia in 2004-2011, and their 81,300 controls. The acute and chronic effects of traumatic brain injury (TBI) have been widely described; however, there is limited knowledge on how a TBI sustained during early adulthood or mid-adulthood will influence aging. Epidemiological studies have explored whether TBI poses a risk for dementia and other neurodegenerative diseases associated with aging. We will discuss the influence of TBI and resulting medical comorbidities such as endocrine, sleep, and inflammatory disturbances on age-related gray and white matter changes and cognitive decline. Post mortem studies examining amyloid, tau, and other proteins will be discussed within the context of neurodegenerative diseases and chronic traumatic encephalopathy. The data support the suggestion that pathological changes triggered by an earlier TBI will have an influence on normal aging processes and will interact with neurodegenerative disease processes rather than the development of a specific disease, such as Alzheimer’s or Parkinson’s. Chronic neurophysiologic change after TBI may have detrimental effects on neurodegenerative disease. Journal of Neurotrauma. November 2017, ahead of print. Journal of Neurotrauma. Dec 2017: 3270-3279. Journal of Neurotrauma. Dec 2017: 3249-3255. Journal of Neurotrauma. Dec 2017: 3262-3269. Journal of Neurotrauma. Sep 2017: 2518-2528. [WEB SITE] Hospital wins patent in VR treatment for cognitive disorders. A local hospital is drawing attention by winning a patent in cognitive rehabilitation treatment using a 3D virtual reality (VR) technology. The Gil Medical Center and Gachon University’s industry-university cooperation foundation said on Monday they registered the patent in “a method and system using 3D virtual reality for the treatment of cognitive impairment.” Professor Lee Ju-kang of Gachon University Gil Medical Center’s physical medicine and rehabilitation department had developed the system. The invention allows doctors to treat a wide range of cognitive disorders, including dementia, with all the different kinds of virtual space. Physicians expect better treatment results with the new technology, which offers virtual areas such as homes that are more familiar to patients than hospital’s treatment rooms. To build 3D background information, the user of the program should visit the patient’s home and scan it first. Then, the user can save it as a database. “Existing dementia treatments are quite limited, as most of them focus on prevention of further progress rather than on cure. Thus, it is becoming more important to use rehabilitation treatment to prevent dementia-derived adjustment disorders or accidents in daily life,” the medical center stated in the patent explanation. Earlier, the hospital unveiled a plan to open a “VR Life Center” next January to treat patients with post-traumatic stress disorder and panic disorder. There is more than one “It” in “Use It or Lose It” — our performance depends on a variety of brain functions and cognitive skills, not just one (be it “attention” or “memory” or any other). Genes do not determine the fate of our brains. Thanks to lifelong neuroplasticity, our lifestyles are as important as our genes-if not more- in how our brains grow and our minds evolve. We need to pay more attention to Randomized Controlled Trials (RCTs) to verify whether any intervention causes an effect, and under what specific circumstances. The largest recent RCT (the ongoing FINGER study) and a 2010 systematic review of all relevant RCTs provide useful guidance: First, they report a protective effect of social and cognitive engagement, physical exercise, and the Mediterranean diet. Second, the average benefits at the population level appear quite limited, so we need to have realistic expectations. Physical exercise and increased fitness promote brain functioning through a variety of mechanisms, including increased brain volume, blood supply and growth hormone levels. Cardiovascular exercise that gets the heart beating – from walking to skiing, tennis and basketball – seems to bring the greatest brain benefits; thirty to sixty minutes per day, three days a week, seems to be the best regimen. Mental stimulation strengthens the connections between neurons (synapses), improving neuron survival and cognitive functioning. Mental stimulation also helps build cognitive reserve, helping the brain better cope with potential AD pathology. Routine activities do not challenge the brain. Keeping up the challenge requires going to the next level of difficulty, or trying something new. The only leisure activity that has been associated with reduced cognitive function is watching television. Brain training can work, putting the “cells that fire together wire together” to good use, but available RCTs suggest some key conditions must be met to transfer to real-life benefits. The brain needs a lot of energy: It extracts approximately 50% of the oxygen and 10% of the glucose from arterial blood. The Mediterranean Diet, supplemented with olive oil and nuts, is associated with decreased risk of cognitive decline. Moderate doses of caffeine increase alertness but there is no clear sustained lifetime health benefit (or harm). Light-to-moderate alcohol consumption seems to lower the risk of dementia. Taking “brain supplements” of any kind does not seem to boost cognitive function or reduce risks of cognitive decline or dementia, unless directed to address an identified deficiency. The larger and the more complex a person’s social network is, the bigger the amygdala (which plays a major role in our behavior and motivation). There is no clear evidence to date on whether “online” relationships are fundamentally different from “offline” ones in this regard. Chronic stress reduces and can even inhibit neurogenesis. Memory and general mental flexibility are impaired by chronic stress. There is increasing evidence that meditation and biofeedback can successfully teach users to self-regulate physiological stress responses. We will not have a Magic Pill or General Solution to solve all our cognitive challenges any time soon, so a holistic multi-pronged approach is recommended, centered around nutrition, stress management, and both physical and mental exercise. Having said that, no size fits all, so it’s critical to understand and address individual needs, priorities and starting points. Now, remember that what counts in terms of brain health is not reading this article, or any other, but practicing some healthy behaviors every day until small steps become internalized habits. Revisit the fact above that really grabbed your attention…and make a decision to try something new this summer. Cognition can be broadly defined as the actions of the brain involved in understanding and functioning in our external environment (Hirschfeld and Gelman, 1994). As it is generally accepted that cognition requires multiple mental processes, this broader concept has been theoretically separated into multiple ‘cognitive domains’ (Hirschfeld and Gelman, 1994). Although definitions vary, and the boundaries between domains often overlap, examples of distinct areas of cognitive functioning include the processes for learning and remembering verbal and spatial information, attentional capacities, response speed, problem-solving and planning (Strauss et al., 2006). Various neuropsychological tests have been developed as tools for assessing and quantifying an individual’s overall cognitive functioning (or ‘global cognition’) along with their performance within the separable domains of cognition (Strauss et al., 2006). Performance in these various cognitive tests has been found to be relatively stable over time in healthy adults, and moderately accurate predictors of real-world functioning and occupational performance (Chaytor and Schmitter-Edgecombe, 2003 ; Hunter, 1986). Furthermore, neuropsychological tests can detect the deficits in cognitive functioning which arise as a consequence of various psychiatric and neurological diseases (Mathuranath et al., 2000 ; Nuechterlein et al., 2004). For example, people with Parkinson’s disease show marked impairments in planning and memory tasks (Dubois and Pillon, 1996), whereas those with schizophrenia have cognitive pervasive deficits, 1–2 standard deviations below population norms, which also predict the severity of disability in this population (Green et al., 2000). Additionally, cognitive abilities decline naturally in almost all people during healthy ageing (Van Hooren et al., 2007). In an ageing population, the functional consequences of cognitive decline may ultimately have a severe social and economic impact. Thus, interventions which improve cognition hold promise for the treatment of psychiatric and neurological diseases, an have positive implications for population health. Fortunately, interventions which stimulate the brain and/or body can improve cognition, or attenuate decline. For instance, physical exercise has been shown to significantly improve global cognition, along with working memory and attentional processes, in both clinical and healthy populations (Firth et al., 2016; Smith et al., 2010 ; Zheng et al., 2016). Interventions can also be designed to target cognition directly, as computerized training programs for memory and other functions have been found to provide significant cognitive benefits, at least in the short term (Hill et al., 2017 ; Melby-Lervåg and Hulme, 2013). Furthermore, ‘gamification’ of cognitive training programs can maximize their clinical effectiveness, as more complex and interesting programs are capable of better engaging patients in cognitively-demanding tasks while also training multiple cognitive processes simultaneously (Anguera et al., 2013). Previous studies have found that providing both aerobic exercise and cognitive training together may have additive effects, preventing ageing-related cognitive decline more effectively (Shatil, 2013). This may be due to aerobic and cognitive activity stimulating neurogenesis through independent but complementary pathways; as animal studies show that while exercise stimulates cell proliferation, learning tasks support the survival of these new cells (Kempermann et al., 2010), such that combining these two types of training results in 30% more new neurons than either task alone (Fabel et al., 2009). Rather than delivering aerobic and cognitive training in separate training sessions, recent advances in technology has presented an opportunity for combining physical activity with cognitively-challenging tasks in a single session through ‘exergames’. Exergames are considered as interactive video-games which require the player to produce physical body movements in order to complete set tasks or actions, in response to visual cues (Oh and Yang, 2010). Common examples include the ‘Nintendo Wii’ (along with ‘Wii Fit’ or ‘Wii Sports software’) or the ‘Microsoft Xbox Kinect’. Additionally, virtual reality systems which use exercise bikes and/or treadmills as a medium for players to interact with three-dimensional worlds have also been developed to provide immersive training experiences (Sinclair et al., 2007). Along with their popular usage for leisure and entertainment, there is growing interest in the application of exergame systems to improve clinical outcomes. Recent systematic reviews and meta-analyses of this growing literature have provided preliminary evidence that exergames can improve various health-related outcomes, including reducing childhood obesity, improving balance and falls risk factors in elderly adults, facilitating functional rehabilitation in people with parkinson’s disease, and even reduce depression (Barry et al., 2014; Li et al., 2016 ; van’t Riet et al., 2014). However, the effects of exergames on cognitive functioning have not been systematically reviewed, despite many individual studies in this area. Therefore, the aim of this study was to systematically review all existing trials of exergames for cognition, and apply meta-analytic techniques to establish the effects of exergames on global cognition along with individual cognitive domains. We also sought to (i) examine the effects of exergames on cognition in healthy and clinically-impaired populations, and (ii) investigate if the effects of exergames differed from those of aerobic exercise alone, by comparing exergames to traditional physical activity control conditions. Fig. 1. PRISMA flow diagram of systematic search and study selection. In this study, we investigated the effectiveness of a 12-week virtual reality exercise program using the Nintendo Wii console (Wii) in improving balance, emotion, and quality of life among patients with cognitive decline. The study included 30 patients with cognitive decline (12 female, 18 male) who were randomly assigned to an experimental (n=15) and control groups (n=15). All subjects performed a traditional cognitive rehabilitation program and the experimental group performed additional three 40-minute virtual reality based video game (Wii) sessions per week for 12 weeks. The berg balance scale (BBS) was used to assess balance abilities. The short form geriatric depression scale-Korean (GDS-K) and the Korean version of quality of life-Alzheimer’s disease (KQOL-AD) scale were both used to assess life quality in patients. Statistical significance was tested within and between groups before and after treatment, using Wilcoxon signed rank and Mann-Whitney u-tests. After 36 training sessions, there were significant beneficial effects of the virtual reality game exercise on balance (BBS), GDS-K, and KQOL-AD in the experimental group when compared to the control group. No significant difference was observed within the control group. These findings demonstrate that a virtual reality-training program could improve the outcomes in terms of balance, depression, and quality of life in patients with cognitive decline. Long-term follow-ups and further studies of more efficient virtual reality training programs are needed. However, despite these advantages, conventional virtual reality systems could not be widely available for patients in clinical settings due to several limitations including high costs and a large size.17 Therefore, it is necessary to develop virtual reality exercise programs that are easy to follow in hospitals and at home. As an alternative, the use of computer-based individual training programmes is becoming increasingly popular due to the low cost, independence and ease of use in the home. One such system that is increasing in popularity for use in exercise training is the Nintendo Wii (Wii; Nintendo Inc., Kyoto, Japan) personal game, which became commercially available. Wii is a video gaming console with a simple method, as its virtual reality system is implemented via a television monitor. It combine physical exercise with computer-simulated environments and interactive videogame features. Because the Wii console is inexpensive and small in size, it is easy to install or move it in hospitals or at home. This gaming console is designed to be controlled using a wireless controller, allowing user to interact with his/her own avatar, which is displayed on the screen through a movement sensing system. The controller is provided with an acceleration sensor that responds to acceleration changes recognizing direction and velocity changes.18 Wii-balance board is being used when playing a Wii Fit game. It is a force plate collecting movement information in the center of pressure of the standing user, enabling reflection of movements in a virtual environment on the monitor and thus constantly resending visual feedback to the user. Through this process, the user can adjust his/her postural responses. Studies have shown that the Wii balance board can be helpful in postural control training.19 Because Wii is a typical example of virtual reality applications and is simple, inexpensive, and easily accessible, Wii is expected to create interest among patients encouraging them to put more efforts in exercise via games and thus augmenting effects of the treatment. Domestic studies on the use of Wii have reported its effects on the upper extremity function, visual perception and sense of balance in chronic stroke patients,20 spinal cord injury patients,21 Parkinson’s disease patients,22 and multiple sclerosis patients.23 However, there have been only a few controlled research studies about the effects of Wii on patients with cognitive decline. The present study aimed to analyze effects of virtual reality exercise program on balance function, emotions, and quality of life (QOL) in patients with cognitive decline. Figure 1 The level of satisfaction about Wii game for dementia patients (Number=%). Brain Derived Neurotrophic Factor (BDNF) has been referred to as a fertilizer for your brain. Find out how exercise can help you to get more of it. Brain Derived Neurotrophic Factor (BDNF) has been referred to as a fertilizer for your brain. It is a substance that is found in your brain and helps to maintain the life of your brain cells, as well as grow new ones. 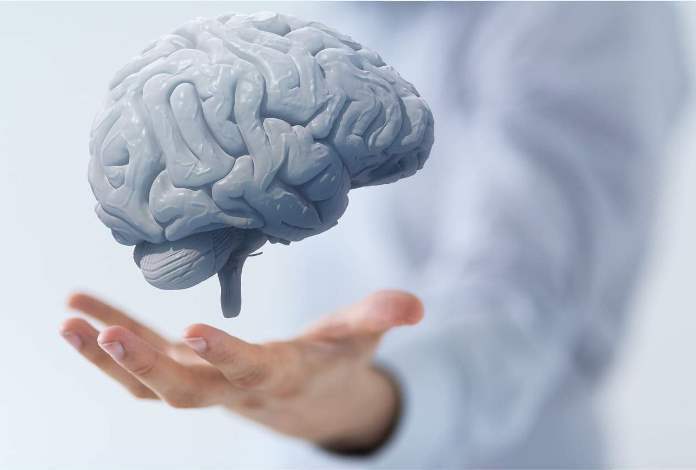 You’ve probably heard all about ‘neuroplasticity’ and how we used to think our brains, once adult, were like a lump of concrete – unable to change and grow. Scientists now believe our brains are more like plastic – able to adapt, grow and change depending on what we do with them. BDNF is widely accepted as being a key player in this ‘plastic’ ability of the brain – its presence has been shown to make brain cells in petri dishes sprout new branches (necessary activity for a cell to make new connections!). Low levels of BDNF have been associated with depression, anxiety, poor memory and brain degeneration as seen in conditions such as Alzheimer’s and dementia. Why would you want more BDNF? Lower rates of Alzheimer’s disease and dementia in older age may be related to higher levels of BDNF. How do you get more BDNF? One word: STIMULATION. Stimulation of your brain and all its cells can come in many forms. Of course, traditional brain exercise has been thought of as activities such as cross words and Sudoku (which are definitely good!) but here’s another aspect you can add to the list: exercise. As little as 30 minutes of jogging on three days a week has been shown to improve brain functioning, but even better gains have been suggested with more complex activity, which requires you to build or acquire a skill. An example of this is exercise that challenges your balance or thinking, like rock climbing or dancing. The ultimate brain booster? A bit of aerobic exercise (at least ten minutes) to increase levels of BDNF and other neurotransmitters, as well as all those other wonderful benefits of aerobic exercise, followed by a skill-based exercise to get the new brain cells creating new networks with each other. 1. Indoor rock-climbing – especially if you actively commute to the rock wall! Hagerman, Eric, & Ratey, Dr John J. (2010). Spark! How Exercise Will Improve the Performance of Your Brain (Kindle Edition ed.). For the first time, researchers have used a cocktail of small molecules to transform human brain cells, called astroglial cells, into functioning neurons for brain repair. The new technology opens the door to the future development of drugs that patients could take as pills to regenerate neurons and to restore brain functions lost after traumatic injuries, stroke, or diseases such as Alzheimer’s. Previous research, such as conventional stem cell therapy, requires brain surgery and therefore is much more invasive and prone to immune-system rejection and other problems. The research, led by Gong Chen, Professor of Biology and the Verne M. Willaman Chair in Life Sciences at Penn State University, will be published online in the journal Cell Stem Cell on Oct. 15th, 2015. “We have discovered a cocktail of small molecules that can reprogram human brain astroglial cells into neuron-like cells after eight-to-ten days of chemical treatment,” Chen said. The neurons the researchers reprogrammed survived for more than five months in cell culture, where they formed functional synaptic networks. The scientists also injected the reprogrammed human neurons into the brains of living mice, where they integrated into the neural circuits and survived there for at least one month. Astroglial cells before treatment with small-molecule cocktails in the lab of Gong Chen at Penn State UniversityCredit: Gong Chen lab, Penn State University”The small molecules are not only easy to synthesize and package into drug pills, but also much more convenient for use by patients than other methods now being developed,” Chen said. Before the promise of the new technology results in pills at a pharmacy, the new research effort must first succeed through much development and testing in the laboratory and then through a series of clinical trials.